Dorset is home to a plethora of auction houses that provide unique events and purchasing opportunities throughout the year. For buyers who attend auctions or auction house owners – you may need assistance with the collection or delivery of items. This might be because you don’t have a have a suitable van available when you need to transport goods home or to a buyer’s address. Fortunately, Johnson’s of Shaftesbury has been working with auctioneers for years and often undertakes collections and deliveries. The main issue with transporting art and other items from auction rooms is avoiding damage or breakages. The Johnson’s team only hires experts in removals with years of expertise in packing and other essential industry techniques. This is where the battle is won or lost – using the correct packaging for each item and spacing everything in removal vehicle to avoid contact when in transit. To ensure your possessions are safe after they leave the auction house – make sure you contact Johnson’s for your collections and deliveries. Dorset Vintage & Classic Auctions– although you wouldn’t typically consider using a removals company for classic motor vehicles, it’s not beyond Johnson’s scope. We can load and transport large pieces of furniture and other significant items. Additionally, this unique auction house in Stalbridge also caters for memorabilia and other items. Yeovil Auction Rooms– now for a more traditional auction house, but no less intriguing. Yeovil Auction Rooms tends to cater for antiques, art and collectables in their auctions, with a focus on providing a value for money service for buyer and seller. You’ll find their auction house, as you would expect, in Yeovil. Elliott’s UK Auctioneers and Valuers– formerly known as Wimborne Salesroom, Elliott’s has been trading in Dorset since 2009. Like Yeovil, Elliott’s deal primarily with antiques and collectables. However, they are happy to cater for specialist auction events in addition to their monthly live online event. Charterhouse – in nearby Sherbourne you’ll find Charterhouse, an auction house that is a jack of all trades. In the next couple of weeks, they’re hosting a vintage motorcycle, classic cars, and an antiques and silver auction events. Unlike other auction houses, Charterhouse is very active online and post regular updates with photos of various items and lots for upcoming auctions. Jeffs & Son– just around the corner in Dorchester is where you’ll find Jeffs & Son’s auction house. Jeffs is a family run business that’s been in operation for over one-hundred years. Dealing mainly with antique and quality furniture, ceramics, gold and silver items, they run regular auctions throughout the year. Duke’s – another entry into our auction house list from Dorchester. Duke’s is all about high-end art and similar quality trinkets, collectables and memorabilia. They are known throughout the UK and has plenty of international clients who participate in their auction events. 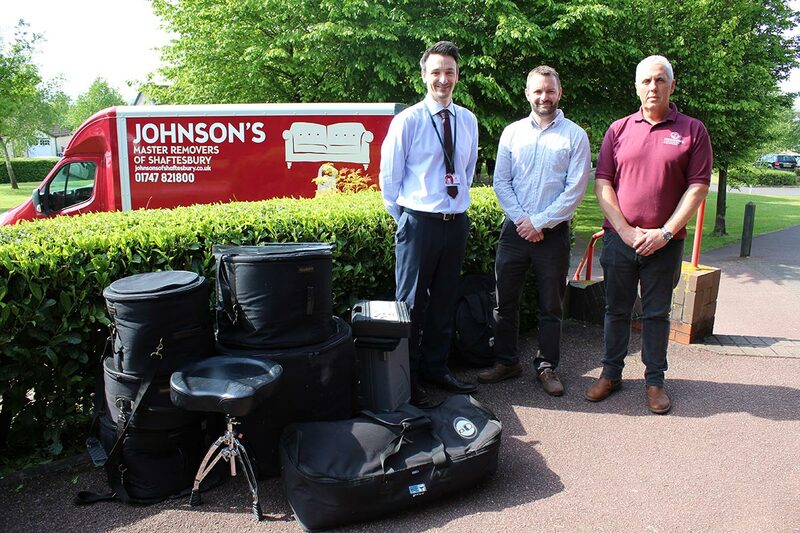 Johnson’s Man & Van service is ideal for collecting purchases from any of the auction houses in Dorset. Every man with a van job will have two team members to do all lifting and packing. All our staff undergo full training and have years of experience in removals and usually other similar trades. All the necessary equipment and packaging will be in our van prior to collection. Then, it’s easier to transport the pieces from the auction house to your chosen destination. Our team will safeguard all items against damage or breakages by ensuring the proper procedures are in place. The most important actions are protecting each item with packaging, as well as their placement in our removal’s vehicle. Additionally, Johnson’s are also on hand to advise on whether you have the correct level of insurance. Although we usually suggest using our Man & Van service, there will be times where a larger removal van available for bigger items. Johnson’s are happy to collect from any of Dorset’s auction rooms and deliver throughout the county and surrounding areas. We operate all over Dorset and regularly make trips to neighbouring counties and larger cities like London. Our team always go the extra mile for our clients, which often means heading into the surrounding areas to complete a job. The Johnson’s of Shaftesbury ethos is to provide excellent customer service that treats everyone on an individual basis. We assess the details of every collection or delivery and suggest the best value for money service that is also the most efficient. Whether you’re an owner of an auction house or you’re a buyer, we have correct service for you. You’re in safe hands when you choose Johnson’s of Shaftesbury to collect or deliver your items in Dorset. If you would like more information on how our Man & Van service can be used for collections and deliveries, contact us today. We’re happy to make collections from any auction house in Dorset.